Sometimes, an event we cover takes on a greater significance than usual. That was the case at the NICWA (Native Indian Child Welfare Act/Association) conference at Harrah's Resort in North San Diego County. It was a gathering of representatives from most of the Native American tribes in the US and it was a real eye opener. 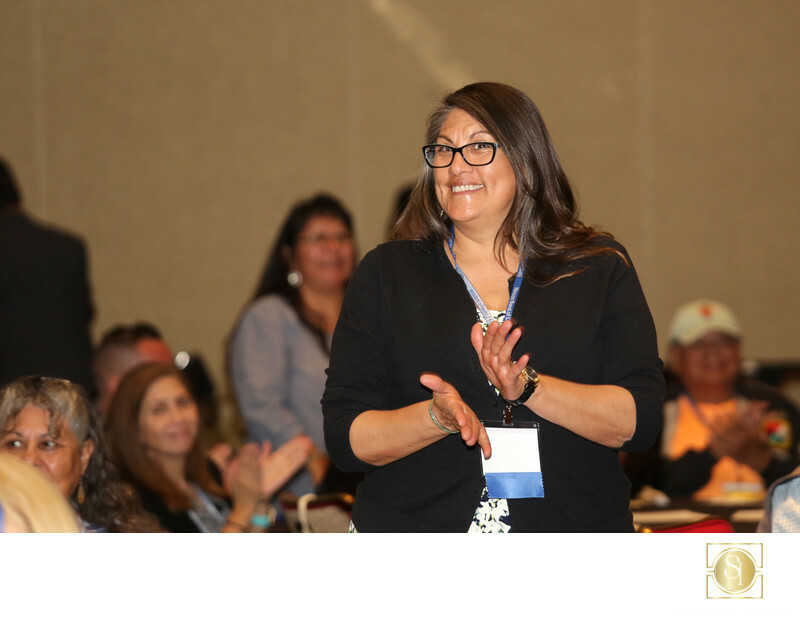 Without going on too long, the basic function of the association is to keep Native American children within their tribe or band, and failing that, to keep them as closely associated with their culture as is possible. It was a real joy to work with such dedicated people and we all learned a lot. Shot with a Canon 5D mkIII with 70-200 f2.8L IS lens and Canon 600RT-EX flash.